Look out for BBC filming in Chippy this week (15th and 16th) and doing a live Newsnight broadcast from here on Thursday evening. As is now widely known, there will not now be a Referendum broadcast due to the murder of Jo Cox. 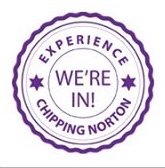 Does anyone know if there will be a programme from Chipping Norton befor 23rd. June?